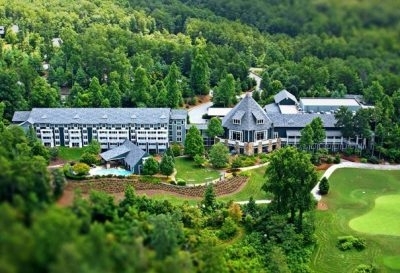 Here are the best Blue Ridge Mountain Resorts. Whether you're looking for a romantic get-away or family vacation rental homes, these resorts combine thousands of serene wooded acres, award-winning restaurants, and a variety of activities and amenities. Some offer stay and play golf packages, spa services, as well as adventure packages with white water rafting, zip lining, hiking, biking and more. Look here for exceptional accommodations from full-service resorts set in a haven of natural beauty, often with amazing and captivating views of the Blue Ridge Mountains. Lakeview at Fontana is a -rustic-chic resort and spa- located on a forest mountainside with beautiful views of Fontana Lake, and only a short drive to all the conveniences of Bryson City. Suites at Silver Tree is a lakefront hotel featuring 50 suites with a fireplace in each one. Amenities include an on site marina, fitness room, lobby with three stone fireplaces, and an on-site restaurant. 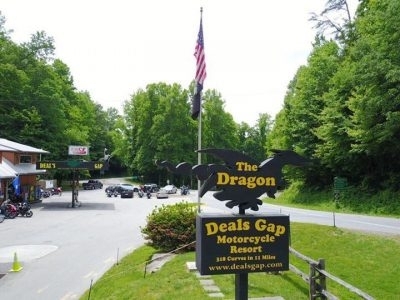 Deals Gap Motorcycle Resort offers motel rooms, apartments and tent camping. Motel rooms include small refrigerators, microwaves, small coffee pots and satellite TV. Linens, towels, pillows, shampoo and soap are provided. 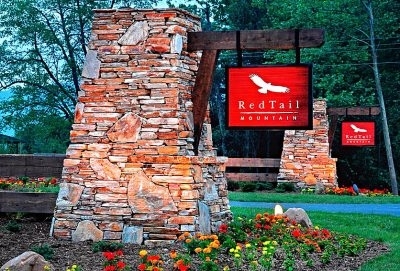 RedTail Mountain lodges include one- and two-bedroom units, with kitchens or kitchenettes. Two-bedroom units have gas fireplaces. The resort is situated on 3,000 acres with miles of trails for cycling and hiking. Reid Ridge Lodge offers a variety of accommodations including traditional double queen rooms, spacious king rooms, and private suites. The lodge provides compliementary European breakfast, and Wi-Fi. Spa tubs are available in some rooms. 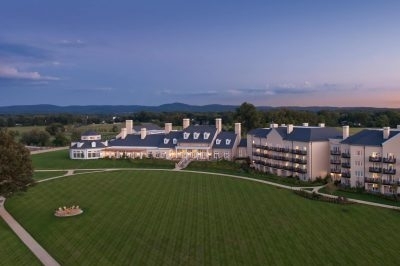 Salamander Resort and Spa is set on 340 acres in the foothills of the Blue Ridge Mountains amid Virginia's famed horse and wine country. In keeping with the country estate design, all 168 rooms and suites are spacious. 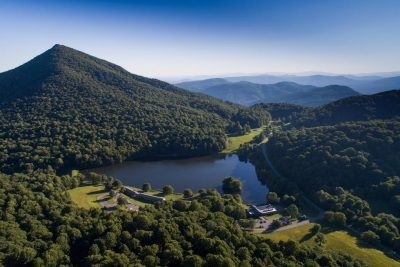 Peaks of Otter Lodge is located at milepost 86 on the Blue Ridge Parkway. Rooms are recently renovated and have views of Abbott Lake and Sharp Top Mountain. Most rooms have two double beds, some have king beds. 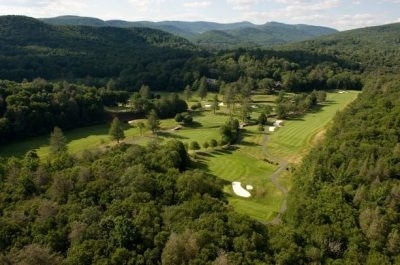 Brasstown Valley Resort and Spa offers dining, golf, stables, a 7,500-square-foot spa, and a wide range of activities for the whole family.